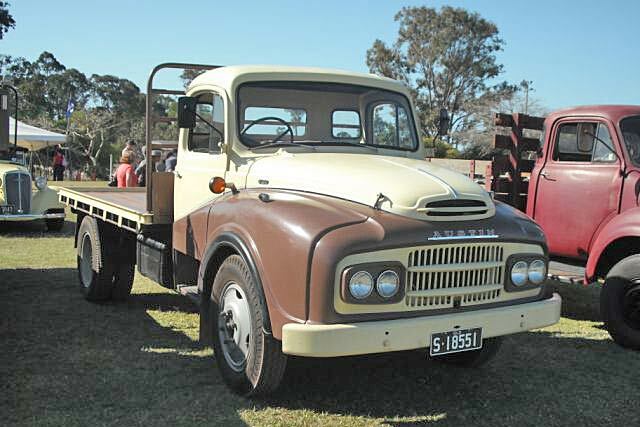 1970 Austin 600 WF was one of the last Austin trucks to feature the Loadstar type cab now with a one piece windscreen and shorter doors. It still used the old four litre six cylinder petrol engine first used in the series 1 K models of the late 1940s. On show at the HCVAQ show Cleveland, August 2009, and owned by HCVAQ member. Just wondering do you know where i could source steering components and other parts in general? Added by Brendon on 05 July 2010. This is great. Have just purchased a similar one. Any help sourcing parts will be appreciated. Added by Doug Thorogood on 01 December 2010. Lovely!! Where can parts be purchased for this Baby. Added by Joseph on 01 November 2015. Added by Selwyn Frederick on 02 November 2015. Awesome I wish has one like it!